All Star Les Miserables – Legendary entertainment! In 1862 Victor Hugo wrote a novel. More than a century later the story turned up as a concept album. In 1980 it was adapted for the stage and enjoyed a brief run. In 1983 Cameron Macintosh created an English language version which, two years later, hit the London stage and made history. Thirty nine years later Les Mis is still loved by millions. 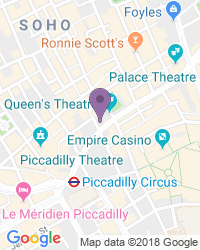 The London production has run continuously since October 1985, the longest-running West End musical and the second longest-running musical in the world. Now we've got something incredibly special for you. Whether you've already seen the show or not you'll adore this fresh production starring a celebrity cast. For a strictly limited 16 week season, Cameron Mackintosh's production of Boublil and Schönberg's Les Mis will star Michael Ball as Javert, Alfie Boe as Jean Valjean, Carrie Hope Fletcher as Fantine, Matt Lucas as Thénardier and Katy Secombe as Madame Thénardier. The staging is apparently spectacular and also unusually intimate, telling the story in the form of a concert that has previously wowed audiences at the Royal Albert Hall and The O2. 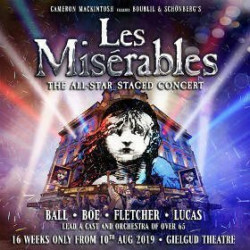 The cast and orchestra total more than 65 people, a whopper of a production, and it's on at the Gielgud theatre from August, right next door to the current home of Les Mis, the Queen's. The show tunes are amazing, and hearing them sung by these remarkable singers is a huge treat. You'll sing your heart out to tunes like I Dreamed A Dream, Bring Him Home, One Day More and On My Own. And the plot? It goes like this... Roll back time to the early 1800s. The scene is France. This is the story of Jean Valjean, a French peasant, and his burning need for redemption after serving nineteen years in jail for stealing a loaf of bread. Valjean breaks his parole and begins a new life, inspired by a Bishop's act of mercy, promising to adopt and care for the orphaned girl Cosette. Chased by the police, Valjean must be very careful indeed. But when the revolution heats up and a group of young idealists try to overthrow the government at a street barricade, things get nasty. Les Mis is great for kids aged 8 and over. Children under 5 won't be admitted. If you're under 16 you must sit with your parents or an accompanying adult. Use the search box at the top left of this page to search for Les Misérables: The All-Star Staged Concert tickets availability.